Afterlife with Archie #1 hits comic shops on October 9, 2013 and Archie Comics wants YOU to don your best undead attire for New York Comic Con taking place October 10th-13th! 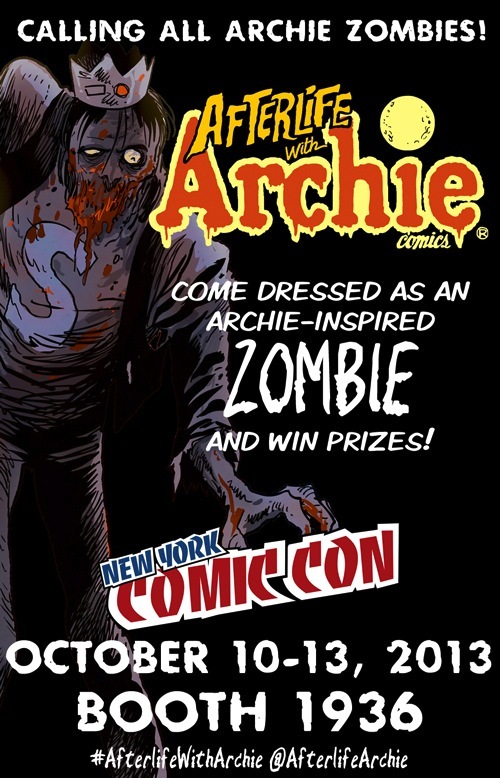 Dress up as your favorite zombified Archie character for a chance to win AWESOME prizes! Stop by Archie Comics Booth 1936 to show off your gruesome getup. 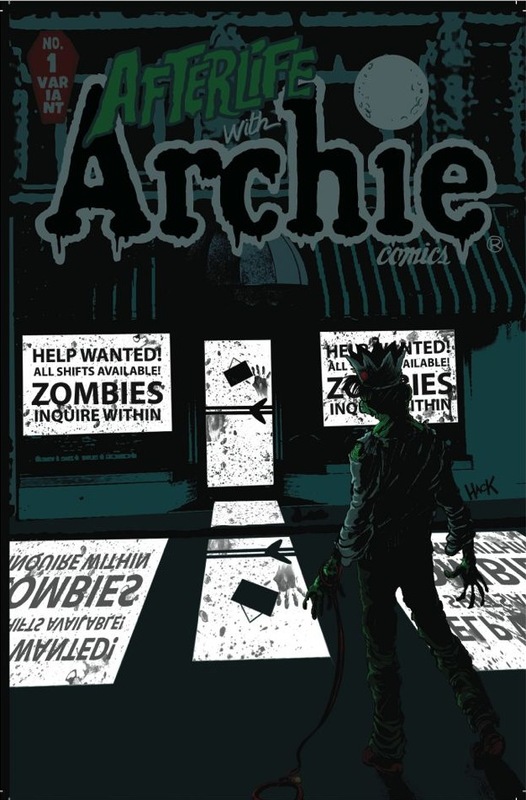 Just for participating, all Archie zombie cosplayers will score a special exclusive Afterlife with Archie variant and will be entered in to win the GRAND PRIZE. Get enough votes and you can win an entire year’s worth of Archie Comics! The first 50 people to show up at the booth each day of the convention dressed as Archie zombies will receive a special, super-limited, exclusive Afterlife with Archie variant (pictured right). There will be 3 GRAND PRIZE WINNERS, 1 in each of the following categories: Male, Female & “Wow, I never would have thought of that. It’s brilliant!” (For those who go above and beyond). Each grand prize winner will receive the ENTIRE 2014 ARCHIE COMICS LINE. That’s right, Afterlife with Archie, The Fox, Sonic, all Archie Double Digests, graphic novels… everything! You must sign a release so that your picture may be taken, posted, and published on Afterlife with Archie’s social media. Archie Comics will have the final decision in determining the grand prize winners. For more info, ‘like’ the Afterlife with Archie Facebook page and follow @AfterlifeArchie on Twitter.